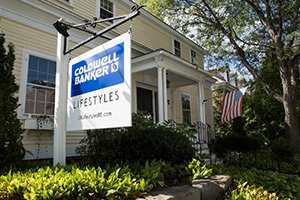 Dartmouth has engaged the services of Coldwell Banker Lifestyles, Title Mortgage and Hanover Transfer & Storage to assist with the details of moving to the Upper Valley. Through the Moving Up Program, a designated Concierge is available to answer any questions and to coordinate a variety of services needed throughout the entire relocation process. Services include assistance with finding a real estate agent, coordination of local real estate and area tours, cost saving benefits, and local vendor referrals and contact information. Through the Moving Up Program, Dartmouth hopes to ensure that both incoming and current Dartmouth College faculty and staff members receive the support and resources necessary to assist with relocation and the home buying process.